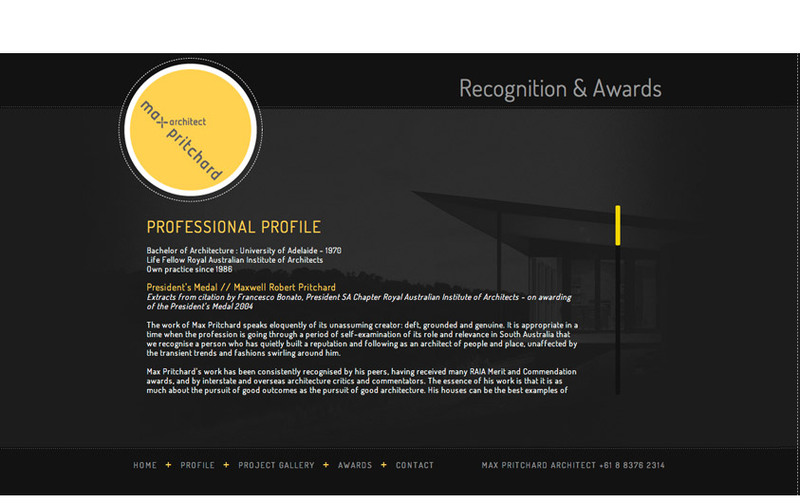 A website to showcase the work of one of South Australia's premier contemporary architects. 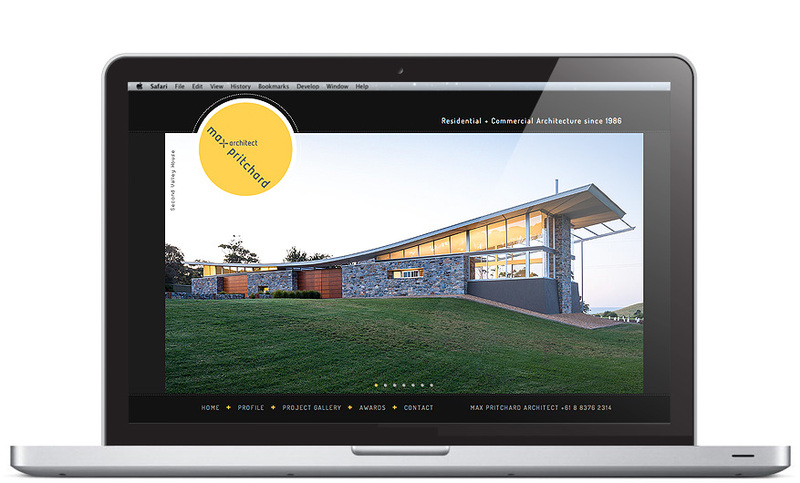 The site was developed to maximise the impact of professional project photography. 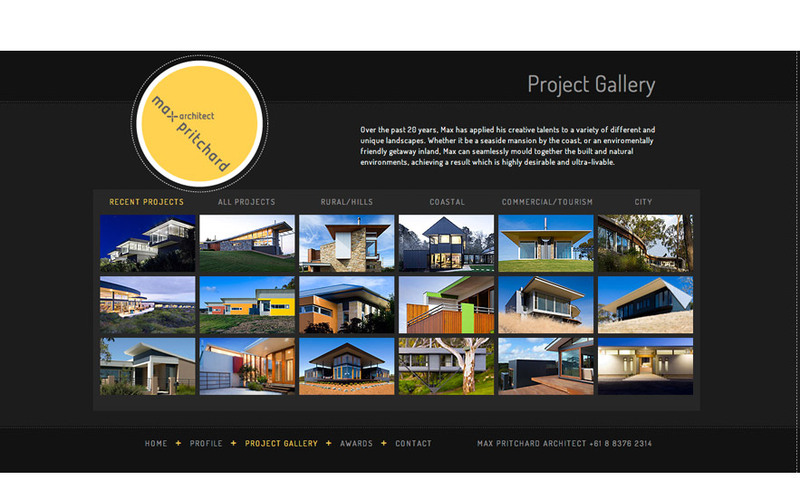 A comprehensive image gallery documents the architect’s extensive portfolio of achievements. Accessibility, ease of use and a rich visual experience were key elements of the design brief. 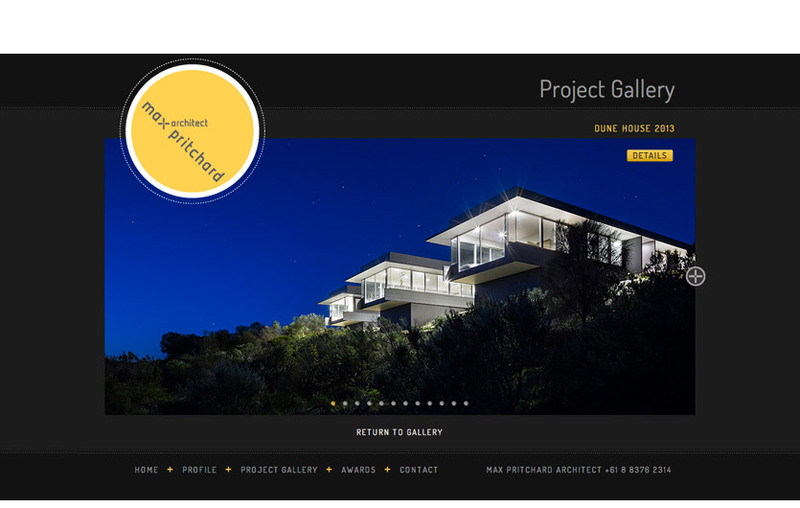 The site is optimised for tablets with swipe gestures for gallery navigation. TWiTCH CREATiVE is the work of designer Paul Richards.